We are a Green Patchwork Congregation within the Mennonite Creation Care Network (MCCN)! To learn more about MCCN click here. While on their site, sign-up for their monthly E-newsletter that can support and encourage you in maintaining a simple lifestyle and practicing stewardship of the Earth. We’ve been frequently featured (check out our “In the News” section below). Our Taftsville Chapel’s creation care liaison is Heather Wolfe, linking our congregation and MCCN. We scored a silver leaf in our baseline MCCN Greener Congregation Stewardship Score in September 2016. This assessed creation care across all aspects of our church life. Details from that assessment can be found in the Stewardship Scoresheet. 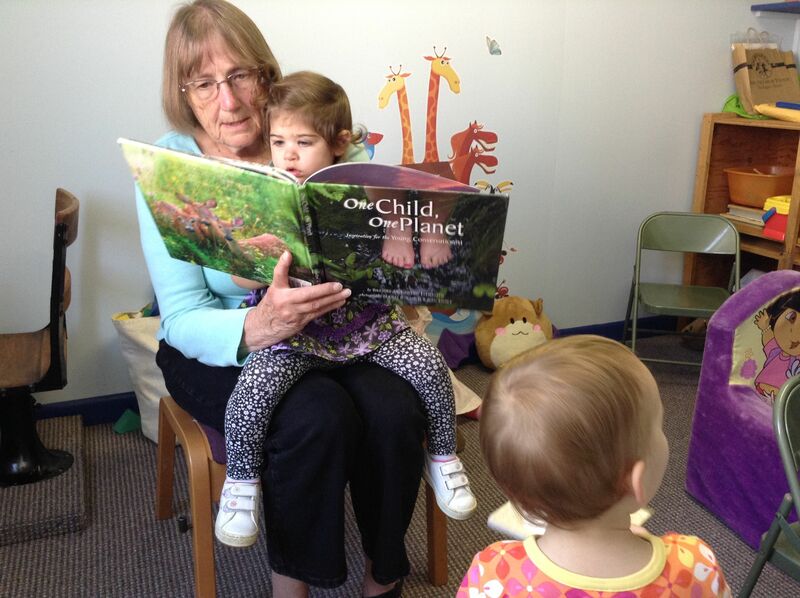 From this Stewardship Score we created a yearlong Comprehensive Creation Care Plan. On May 4th our solar installation was complete and we began generating renewal energy! The article can be found here. The April edition of The Mennonite was dedicated to creation care. We answered a call for submissions and had our article accepted. 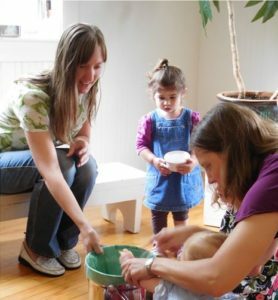 You can read about our yearlong journey into intentional commitment as a congregation to creation care here. It was announced that our grant request was fully funded by the Pam DeYoung Net Zero Energy Fund! This funding allowed us to move forward with installation of solar panels on our chapel roof. The article can be found here. 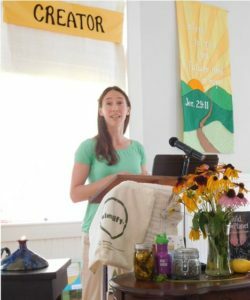 The correspondent for Taftsville (a hamlet of Woodstock), submitted this article to the local weekly paper summarizing the community meeting we held at the church where we presented our proposal for a solar project to our neighbors. The article can be found here. Taftsville Chapel was one of three congregations highlighted at the annual meeting for the work we are doing in regards to creation care. The Franconia Conference office says, “We’ve gotten a lot of positive feedback, and people were definitely blessed to hear your stories!” Check out the video here (second story in the video, starting at 3:40 minute mark). 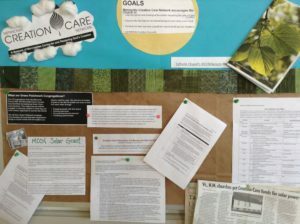 In August of 2016 our church council, with the support of the congregation, affirmed our congregation joining MCCN’s Green Patchwork and designating an official creation care liaison. The article can be found here. “Our Mission: Engage community-led solutions for human health and the health of our planet.” The founders, Cam and Kinari Webb, are past attendees of Taftsville Chapel. We have continued to support their ministry in our annual congregational giving. To learn more, visit their website. We designed our solar array to intentional generate more energy than we need and set up a group net metering account where we donate our excess renewable energy credits to BBC, whose core mission is to help young people to develop their relationship with God by providing them with a Christ-centered camping experience in a natural and nurturing environment. Check them out on their website. We are fortunate that our state of Vermont has favorable laws and supportive utilities that encourage and incentivize renewables. 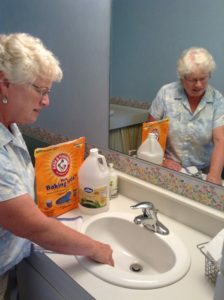 Members take turns weekly cleaning the church. We use homemade, green cleaners whenever we can. Primary products are baking powder and vinegar. Here are the recipes we use. Try them out in your own home. They are good for the environment and less expensive than commercial–a win-win! For products we purchase, we look for eco-friendly options. Seventh Generation is a Vermont company that makes plant-based products. They are a B corporation, which means they are certified to be better for workers and better for the environment. B corps are concerned with people and the planet, not just profits. Do you know what’s behind the name Seventh Generation? Here in Vermont we are blessed with law, infrastructure and community support around recycling. This year we moved to zero sort and have increased the amount and visibility of recycling collection bins while at the same time decreasing trash receptacles inside the church. State law now requires that by 2020 all food scraps will be banned from landfills. We decided to be early adopters, adding a compost pail to our coffee time area for coffee filters, grounds and food scraps. Individual members take it home and add to their household compost piles right now as we do not have composting set up on site. Here is the pail we chose and have been happy with since debuting it in August 2016. With it we use 100% biodegradable, compostable liners to make clean up quick and easy. We have dedicated a bulletin board at the church for posting creation care related news, information and inspiration. Here is a prayer that was posted on the board at Thanksgiving time: Mikmaq Prayer for Thanksgiving.